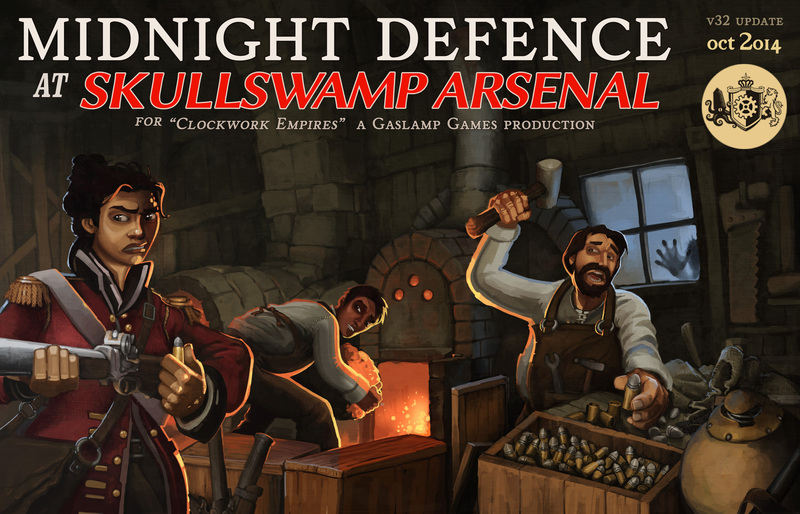 It is time once more for the monthly update to Clockwork Empires! We are now at v32, or as we like to call it, Midnight Defense at Skullswamp Arsenal. We have also updated our Clockwork Empires: Development Progress report! … unfortunately our web guy is lost somewhere in Vegas so the latest version isn’t online yet, but we’ll let you know as soon as we find him. (Once it’s up it will provide a look into the high-level status of the project in excruciating detail. There are also pictures of cute animals.) Update: We found him! It’s all working now! MacOS and Linux users: MacOS and Linux compatible versions of the game will be released before the end of October; we shall inform you post-haste when they are available via Steam! Glad to know the Mac release will be before the end of the month, since I may be moving to a place where the Internet doesn’t exist after that. Now if we can just require clean terrain to build something on, so I don’t have grass and saplings I have to pick out of my floor boards. Terrain is still sorta wonky in terms of evened out ground not being visually evened out. again problem whit graveyar,when i reload from salvatage the body deadeth they are out terrain,under the tombstone,game most playable ,hi. Quick q- are supply drops a temporary fix until we can make our own stuff, or is it a permanent feature? It’s probably useful to have supply drops as something to call on to fill gaps in material requirements. The cost may go up a bit however. Oh and by them I mean questions. Not people or anything. Honest.